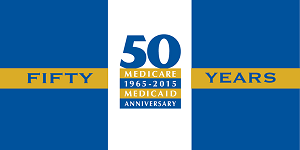 2015 Medicare Open Enrollment - October 15 through December 7 - Get Help — Healthcare Counts! It's time to review your Medicare Plan! It is important to review your Part D coverage every year! Premiums, co-pays and the drugs covered can change from year-to-year, even within the same plan. Your current plan should send you an "Annual Notice of Change" before Open Enrollment that outlines any changes for the next year. Medicare Part D plans are sold and managed by private companies and vary greatly in terms of monthly premiums, annual deductibles, drugs covered and prescription prices. The Medicare Savings Program may help you pay your Medicare premium, or you may qualify for Medicaid and Medicare which together will cover all your health care costs. To qualify for the Medicare Savings Program you must be low-income and not have many assets. For married couples, your combined income must be less than $1770/month and you must have less than $10,930 in assets. For single people, your income must be less than $1313 and you must have less than $7280 in assets. If you think you qualify, talk to a MMAP (Medicare/Medicaid Assistance Program) counselor. MMAP offers information and assistance with plan comparisons and enrollment throughout the election period. You can get help from a MMAP counselor by calling the MMAP assistance line at the Area Agency on Aging 1-B (800-803-7174). *MMAP Counselors are background checked, trained and certified by the State MMAP office and provide confidential unbiased information; they are not connected with any insurance company. MMAP is the State Health Insurance assistance Program (SHIP) for Michigan. Call 734-508-6229 to reserve a spot. Call 800-852-7795 to reserve a spot. If you can't make one of the above sessions, you can make an appointment at a partner site. Appointments are scheduled either by the host agency or by calling the Area Agency on Aging 1-B. It is confusing but there is help! To get help, contact an agency or call MMAP directly. Remember, most people can only change plans during Open Enrollment, October 15, 2015 to December 7, 2015. And Wish Medicare a Happy Birthday! On July 30, 1965, President Lyndon B. Johnson signed into law legislation that established the Medicare and Medicaid programs. For 50 years, these 2 programs have been protecting the health and well-being of millions of American families, saving lives, and improving the economic security of our nation. Older PostWant to Subscribe to this Blog/News Feed? It's As Easy as 1, 2, 3!